Christmas in Milledgeville is quickly approaching, and with the streets lines with lights and garland, we cannot get enough of the holidays. The only not-so-fun part of this time of year is the difficulty of buying the perfect gift for your friends and family. 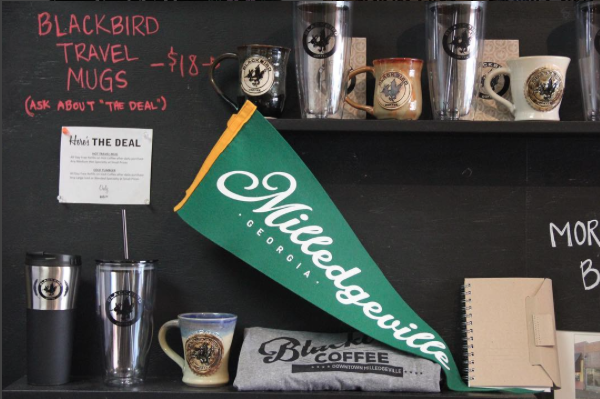 Downtown Milledgeville’s many shops and stores have the cutest gifts for your entire list, and we have the perfect presents for each of your loved ones. 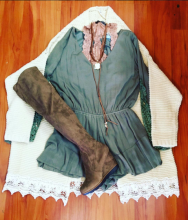 For the Fashionista: French Vill’Edge, Shelvie Jean and On Cloud 9 are the perfect places to get your girl the cutest clothing and accessories this Christmas. With their on-trend pieces like plaid blanket scarves, tassle necklaces and ankle boots, you will have no problem finding those last-minute gifts. For the Foodie: #ShopLocal in one of Milledgeville’s many home-grown shops. Blackbird Coffee sells their coffee that they actually roast in the store, as well as hand-made unique coffee mugs for those cold winter days. 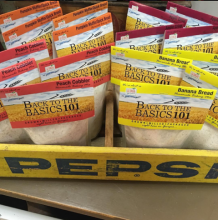 The Market Collective, Milledgeville’s coolest vintage shop, sells products from all over Georgia, including Back to the Basics flours and mixes, honey from Savannah, Georgia, and Sober Dough bread mix from the south. 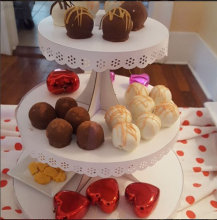 For the Sweet Tooth: If you want to give your friends some warm baked goods this holiday season, head over to one of Milledgeville’s amazing bakeries: Ryals, SweeTreats and Doodle’s cupcakes. Ryals is famous for their smiley face cookies, but you can’t go wrong with anything at this Milly landmark. SweeTreats and Doodles are both known for their scrumptious cupcakes, perfect for a Christmas Eve late night snack. You could even leave some out for Santa! For the History Lover: Milly’s rich history is great for anyone interested in Antebellum times, and you can also give your loved ones the perfect souvenirs from this historical town. 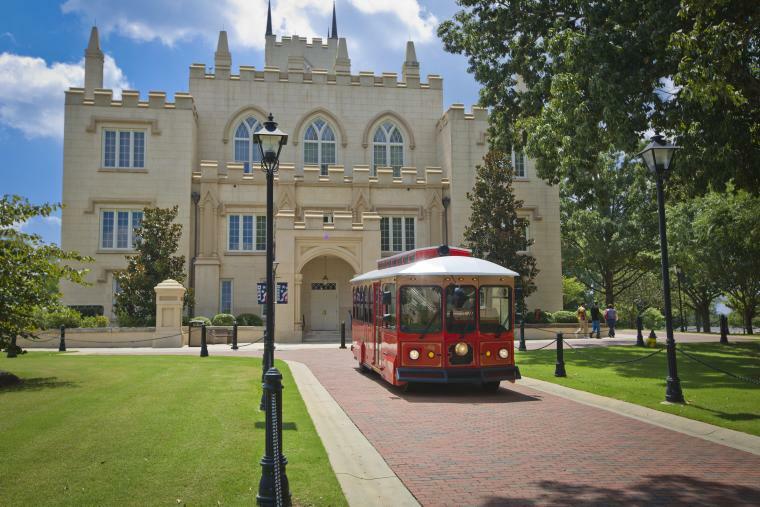 You could give them a great experience like tickets to one of Milledgeville’s trolley tours or a trip to the Old Governor’s Mansion. 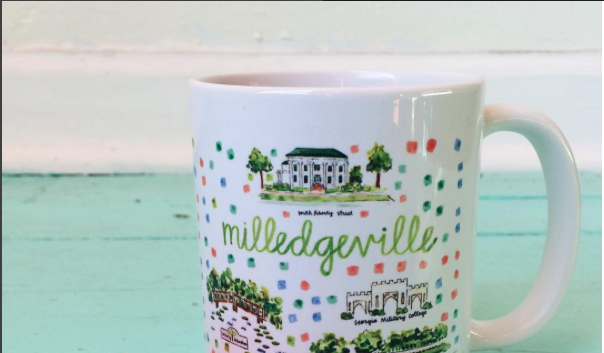 Or, for someone who would love a reminder of their favorite town, you could give them hand-drawn and painted pictures of Milledgeville landmarks, sold at the Old Governor’s mansion gift shop, as well as Jack & Milly. For the GCSU Grad: Get all of your Georgia College swag at the bookstore located in downtown Milledgeville. This bookstore is a restored movie theatre, which also hosts GCSU’s blackbox theatre and bookstore. You can buy t-shirts, keychains, hats and even tumblrs at this location. 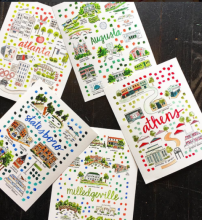 If your recent graduate was in a sorority, The Market Collective has hand-painted postcards and prints of each sorority house, as well as Milledgeville pennants in several colors.